The Ross’s Goose was photographed at the South Shore Yacht Club in Bayview, Wisconsin. 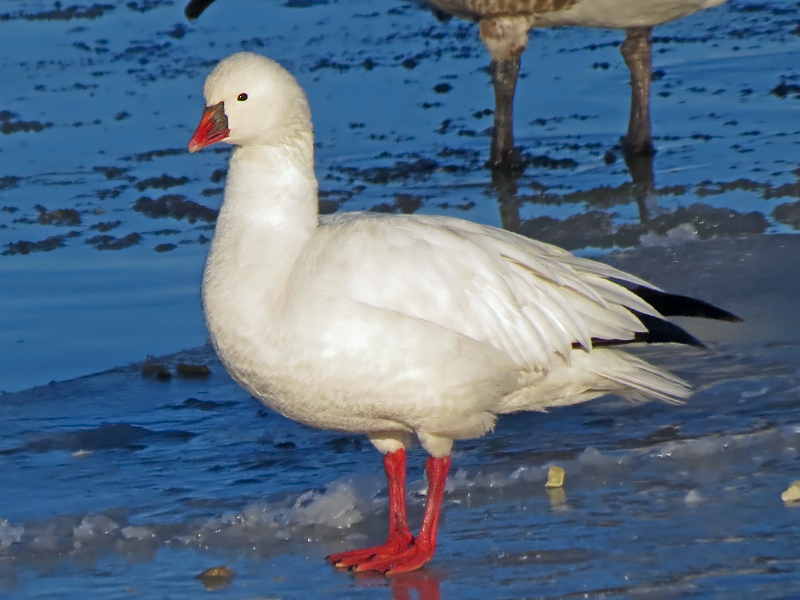 The Ross’s Goose is small in size, primarily white with black wing tips, red-orange feet, and stubby red-orange beak. There is a dark morph, but it is rare. It has a range of Artic Canada and winters in western United States. It is found in the tundra (summer), salt and freshwater marshes, ponds, and grain fields in their winter. It eats mostly grasses and grains. This was a loner goose that stayed for some time with several Canadian Geese, and seemed to travel with them. 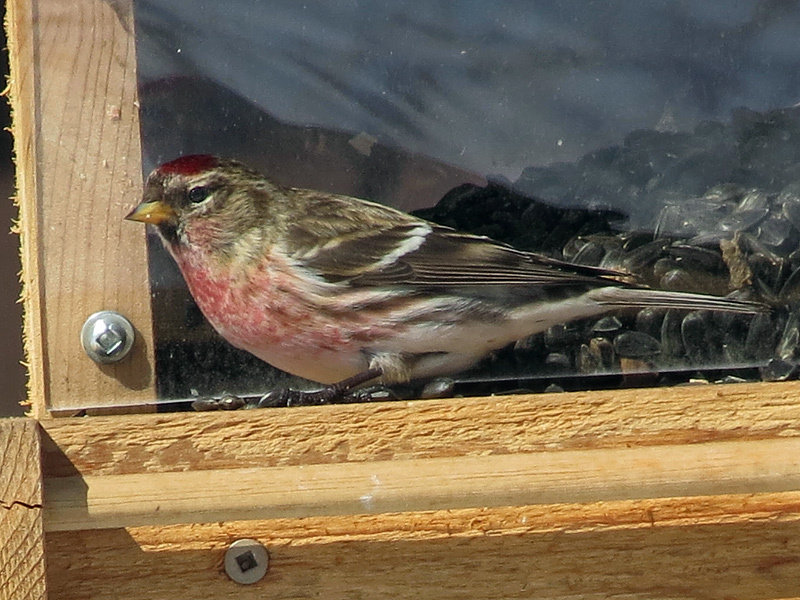 I never saw it fly, but saw it at several times at different locations. The Canada Goose was split into two species in 2004; the Canada goose and the Cackling Goose. These also have subspecies. Basically they look the same except the Cackling is smaller in size and has a shorter bill. They can usually be found or noticed by staying and traveling in their own flock, but as I found this is difficult. The Cackling breeds farther north and westward than does the Canada. The Cackling is seen more in the western United States. The Bonaparte’s Gull is the smallest Gull usually seen in North America. 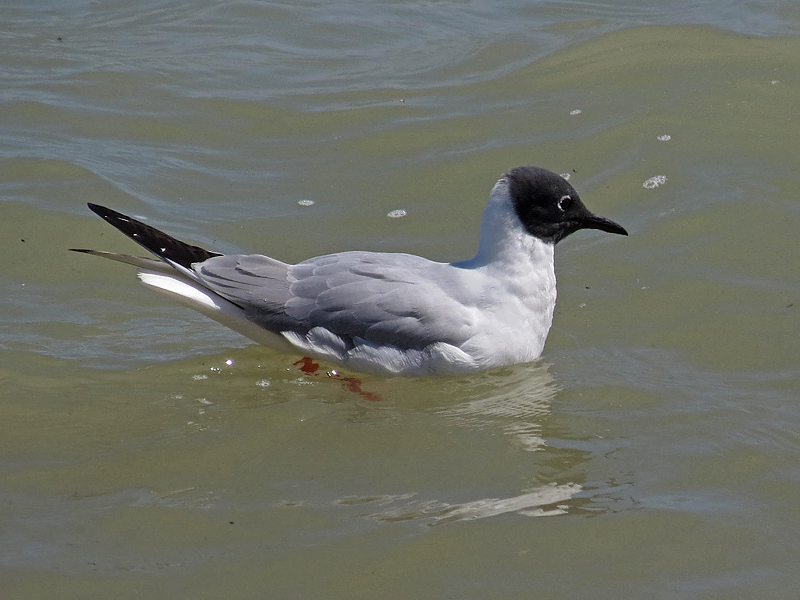 The Bonaparte’s Gull is a small gray and white Gull with red legs, and a black head in the summer. 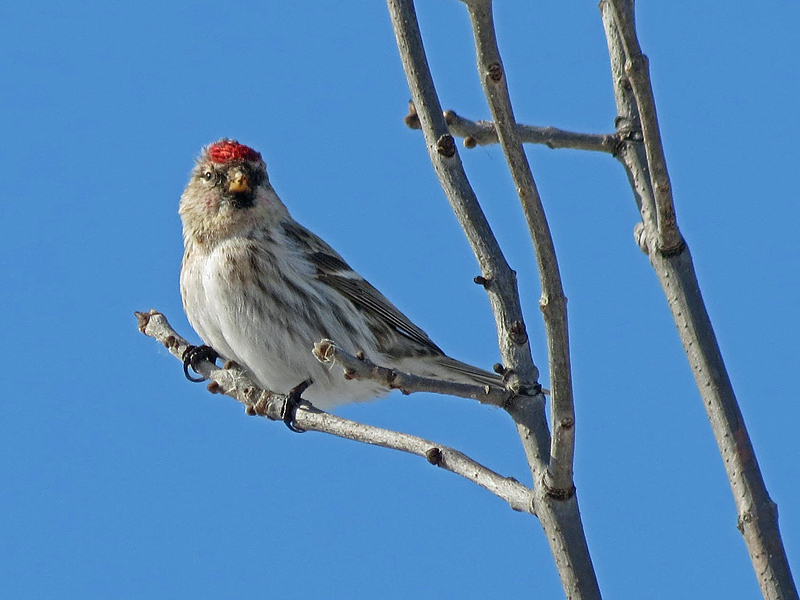 The winter adult has a white head with a black earspot. This is the smallest gull usually seen over North America. It nests in trees and not on the ground, as other gulls do. Its normal range is from Alaska to central Canada. It winters on the Great Lakes and the coasts of the United States. Its habitat is Ocean Bays, rivers, and lakes. The diet is insects, crustaceans, and fish. The Canada Warbler was the first warbler that I sited and photographed this year at the Wehr Nature Center, Milwaukee, WI. The Canada Warbler is known as the “necklaced” warbler, because of the short black stripes around the throat. It is solid gray above, and bright yellow below with the necklace. The female Canada Warbler has fainter coloring. All have yellow “spectacles”. It also lacks any white in the wings and tail. Its habitat is forest undergrowth and shady thickets of which it darts in and out. Its range is from Midwest to the Northeaster States and Canada. You can see the sited location at the Wehr Nature Center, Milwaukee, WI by clicking the link below. The Canada Warbler was the first warbler I sighted this year at the Wehr Nature Center, Milwaukee, WI. 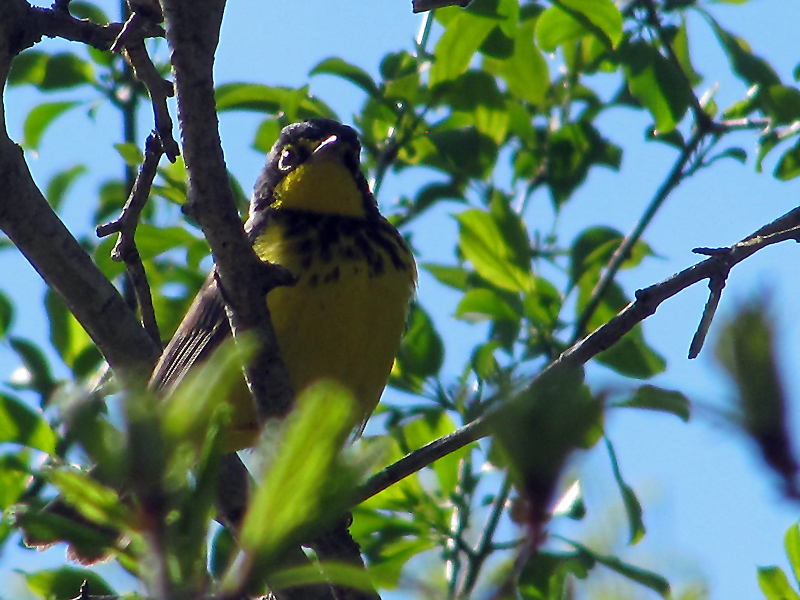 Select this link to see the Canada Warbler site where it was sighted and photographed.